Look at all of the churches, schools, and the vast assortment of businesses in your town. Each one was deliberately placed there, built by someone, and now services your community. You may not even remember it being built, it just appeared there one day. Or so it feels like. That might be because they were built using modular construction, a method of prefabricating individual units of buildings off-site, and then assembling them during construction. These builds can take just a few weeks to complete and look as good as a traditional build. Modular buildings can be both efficient and economical. If you’re interested in learning more about modular buildings, here are some fun facts. People often (falsely) believe that modular construction isn’t as durable or strong as a traditional building. In fact, because they’re portable buildings, they have to be constructed in individual units, meaning each one has its own support system and has to withstand transportation. Modular buildings are reusable. 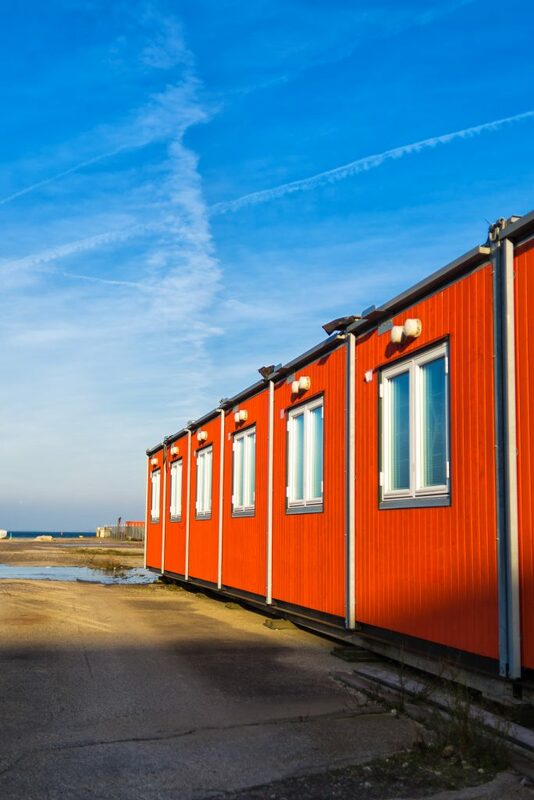 If money is tight for your business, you can purchase a used modular building instead. Used modular buildings share all of the same benefits as a new build, but might come at less of an expense. The process of modular construction actually cuts design and construction time by up to 50% due to fewer change orders, improved cash flow, and earlier occupancy. Modular construction is eco-friendly. Units are built in factories where materials are protected and waste is properly recycled. Modular materials are as durable during extreme and inclement weather as those used in traditional builds, meaning your modular building is as tough as the one next to it. Modular construction is completely flexible and design friendly, allowing you to take part in the design process. Weather delays are less of an issue with modular builds since the majority of the construction is actually completed in a warehouse. Even the fast food giant McDonald’s is an advocate for modular construction, having built several franchises in the United Kingdom using modular building methods, according to Triple Pundit. Each one of their buildings took just four weeks to complete and reduced the company’s environmental impact. So whether you want to build a church, school, office, or even an indoor laser-tag arena, consider modular construction. Interested in purchasing a used modular building in Florida? Give us a call today.